Surf Securely with VyprVPN for iPhone, iPad or Macbook. This is where VyprVPN steps to the plate. Whether you are using your Macbook, iPad, or iPhone, VyprVPN enables customers to have privacy, security and freedom while online. The coffee shop Wi-Fi that is so convenient puts your data in extreme danger. As a matter of fact, free Wi-Fi hotspots are one of the fastest growing sources of identity theft. Without a personal VPN, hackers and data sniffers can tap into your connection on an unsecured public Wi-Fi Hotspot. VyprVPN encrypts Internet connections providing customers the added security they need. Mobile Networks are inherently insecure- they were not built to protect your data. What you are doing, saying and viewing is out there. VprVPN enables you to create a secure Internet connection on all your Mobile Devices- blocking unwanted hackers, thieves and peeping toms into your world online. Is it hard to use? 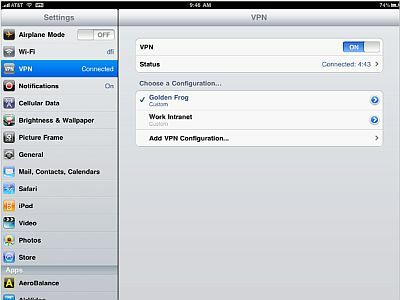 VyprVPN can be configured on your iPhone or iPad in less than 30 seconds. It is almost as easy to use on your home computer. I’ll go through the iPad configuration steps. 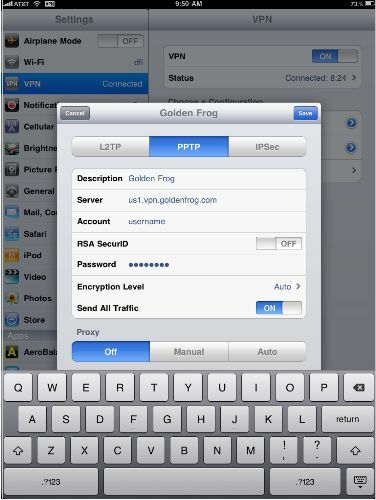 Now that you know why VyprVPN for iPhone is important and how easy it is to use, I recommend you signup.